MAEVe was established in 2015 to draw together research and evaluation capacity across the University, in partnership with community, industry and government agencies, to respond to this pressing challenge. 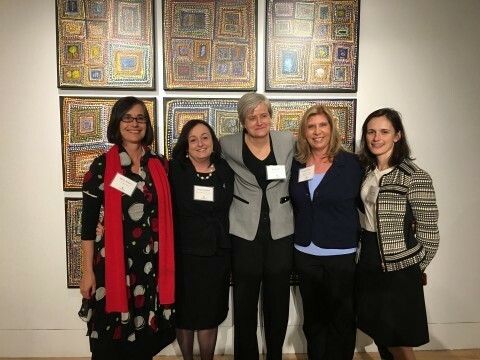 In March, Kelsey Hegarty and leaders from Johns Hopkins School of Nursing participated on a panel at the Australian Embassy in Washington DC to discuss how they are using technology to combat violence against women in their countries and globally. Image includes from left to right: Kelsey Hegarty (The University of Melbourne), Patricia Davidson (Dean of the School of Nursing at Johns Hopkins University), Nancy Glass (Johns Hopkins University), Natalie Bush (Johns Hopkins University Nursing Advisory Board member), and Taylor White. On the 10 February 2016, MAEVe held a forum entitled eSafe Relationships: Using technology to prevent and respond to violence against women and their children. This event was organised in two parts. The first was an all-day forum on technology and violence against women which showcased exceptional research and action in this area, and explored what technological advances are needed to help create a violence-free future. The second part was a public panel discussion with leading voices in the field discussing the question: Does technology do more good than harm? Both events were well attended, with over 70 forum attendees, andover 350 people attending the public panel. 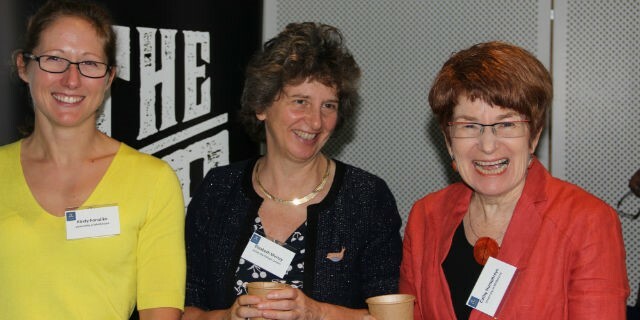 To view a recording of the public panel please go to the MAEVe website. MAEVe has been funded by the Melbourne Social Equity Institute (MSEI) to develop and evaluate the effects of a lived experience panel as part of the MAEVe research program. The aim is to develop and support an advisory panel of survivors of violence against women to explore the feasibility and effect of such a panel on the survivor participants, researchers and MAEVe research. With a literature review underway, and based on the outcomes of this, the project will work with survivors to develop a model for how best to establish and run a lived experience panel, and evaluate its effects. Ultimately this project seeks to learn how best to listen to the needs of women who have experienced violence in a genuinely collaborative, supportive and reciprocal way.